I was inspired by my adoptive state of Wisconsin to experiment with cranberries. Wisconsin is the largest producer of cranberries in the US…did you know that? I didn’t either until I moved here. One of these days I’m going to get myself up north to see the harvesting of the cranberry bogs. I bet it’s neat. Every year on Thanksgiving I make a cranberry chutney that inevitably gets forgotten about in the fridge until we are nearly finished with our meal. What a shame. 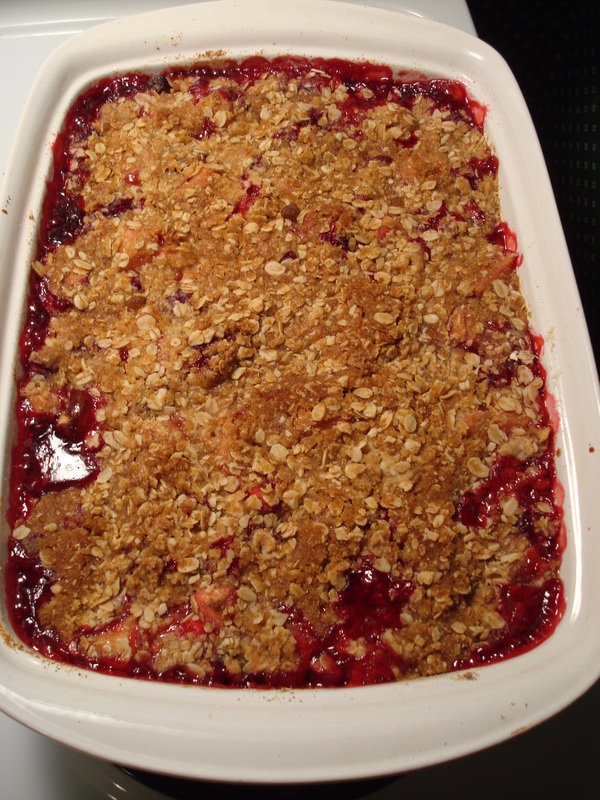 I thought it might be nice to make cranberries into more of a featured part of the meal and what could be more featured than dessert? No one forgets about dessert. 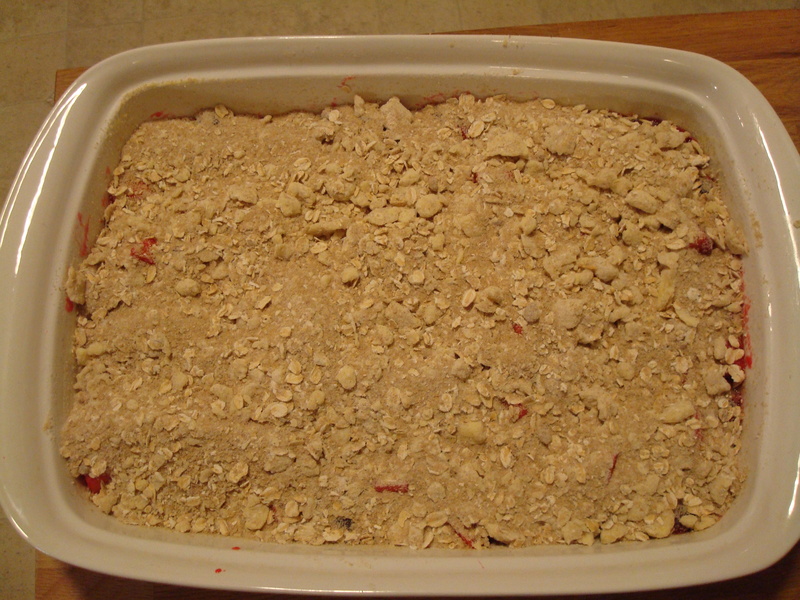 A few years back I tore a recipe out of a magazine for a cranberry-apple crisp and decided to test it out here for you. 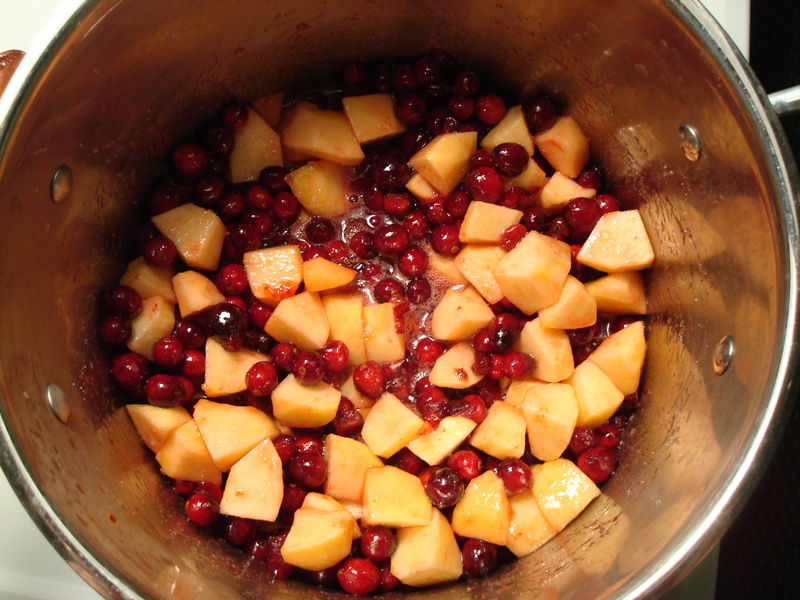 When the apples and cranberries were cooking down on my stove it smelled like the holidays. I wish the internet had smell-o-vision so I could share the scent with you– it was heavenly. The topping for this crisp couldn’t have been simpler– it consists of oatmeal, flour, butter, brown sugar, and a pinch of salt. I took this into work for a co-worker’s birthday and it was a big hit. I think it was a nice contrast to all of the overly sweet desserts that others had brought in. There is definitely a tartness to this crisp but it works. It’s even better warm with a little vanilla ice cream which I also tried. This could be the perfect ending to your Thanksgiving meal! Preheat oven to 375°F. Generously butter 13x9x2-inch glass baking dish. 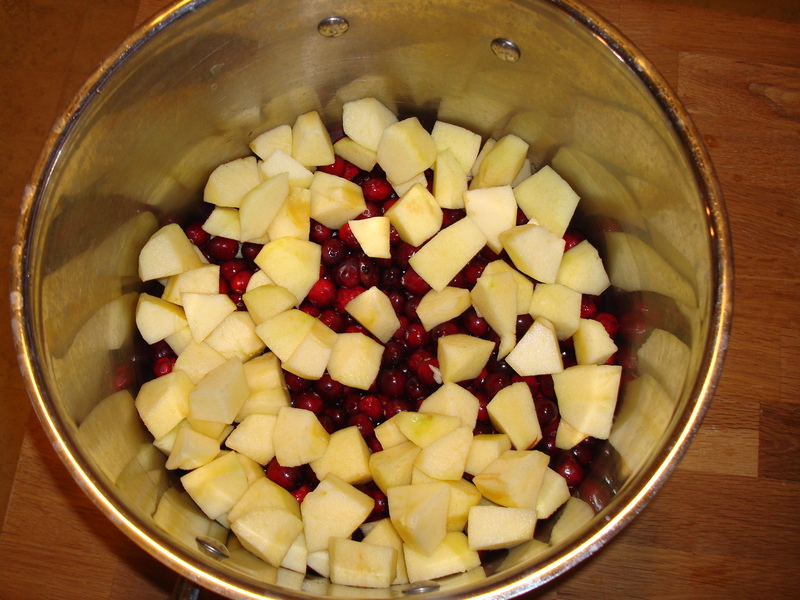 Combine cranberries, apples, sugar, and apple juice in heavy large pot. Bring to boil over medium heat, stirring often. 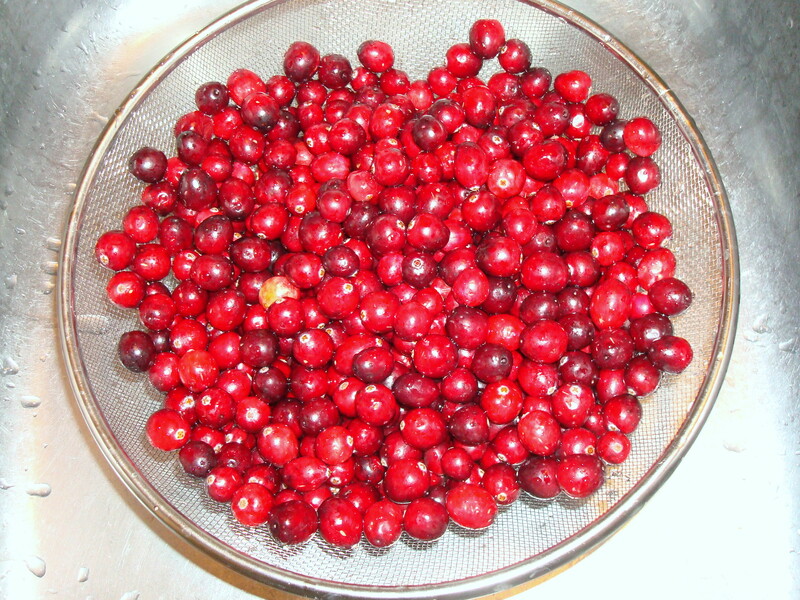 Boil until cranberries are tender and juices thicken slightly, about 5 minutes. Transfer filling to prepared dish. Sprinkle topping over. Bake crisp until filling bubbles thickly and topping is crisp and deep golden brown, about 40 minutes. Let cool 10 minutes. Serve with ice cream.